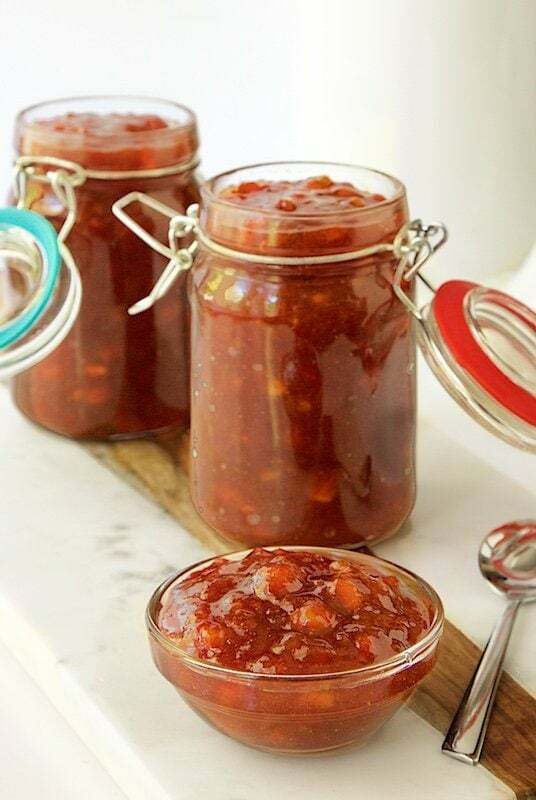 This jam is delicious on biscuits, toast, scones, yogurt, ice cream and is another great use for ripe bananas! Banana jam? Oh my goodness, YES!! Back in March, I received a really fun email. 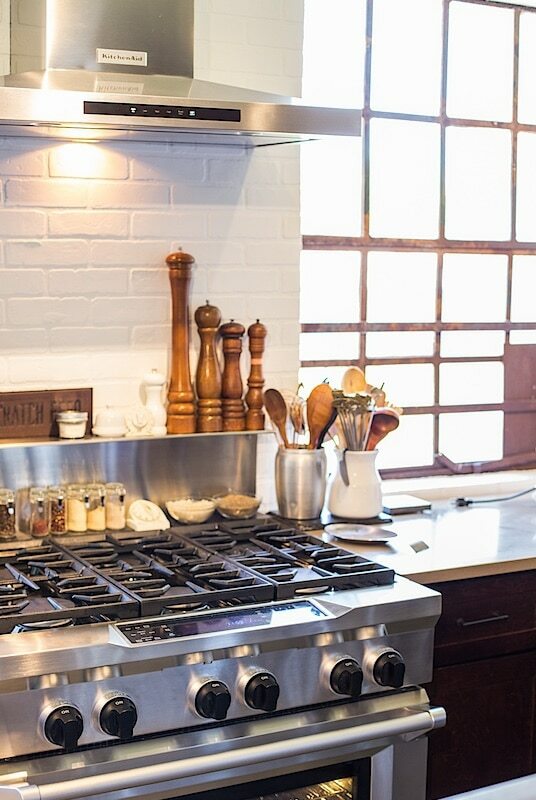 It was an invitation from KitchenAid to “a retreat” in Nashville. It didn’t take me long to RSVP to the awesome opportunity. I mean really, who (if they have any kind of culinary affection) wouldn’t love to spend a few days immersed in all things KitchenAid? So, in mid-April, I packed a suitcase and headed to Music City. There were twelve bloggers in attendance from all over the country, and it was really fun getting acquainted with these talented foodies. 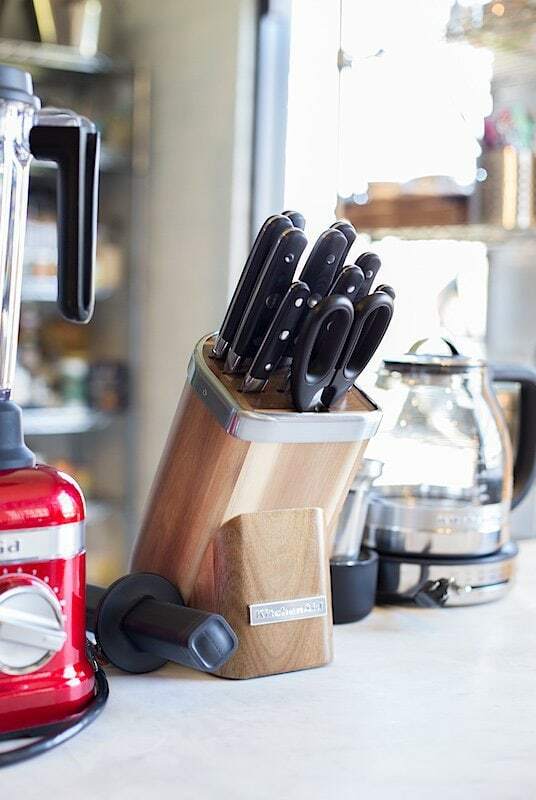 The two days we spent together were beyond incredible; we not only experienced the wonderful food scene in Nashville, but were given the opportunity to learn about all the latest equipment the ingenious team from KitchenAid had been dreaming up. 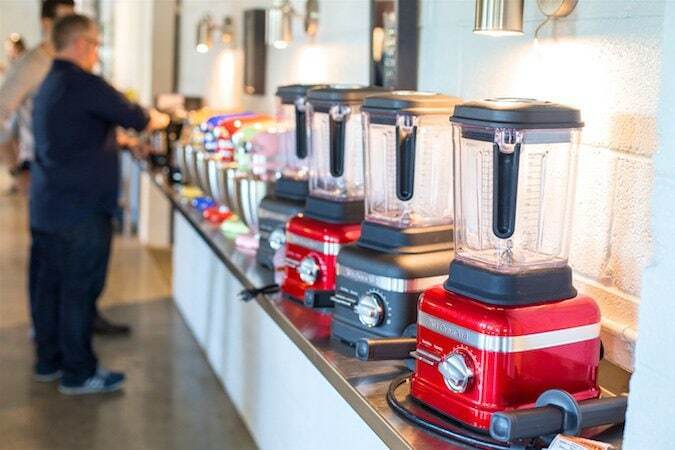 One of the highlights of the retreat was the day we spent at The Food Sheriff, a state-of the-art test kitchen, equipped with all the latest KitchenAid equipment. 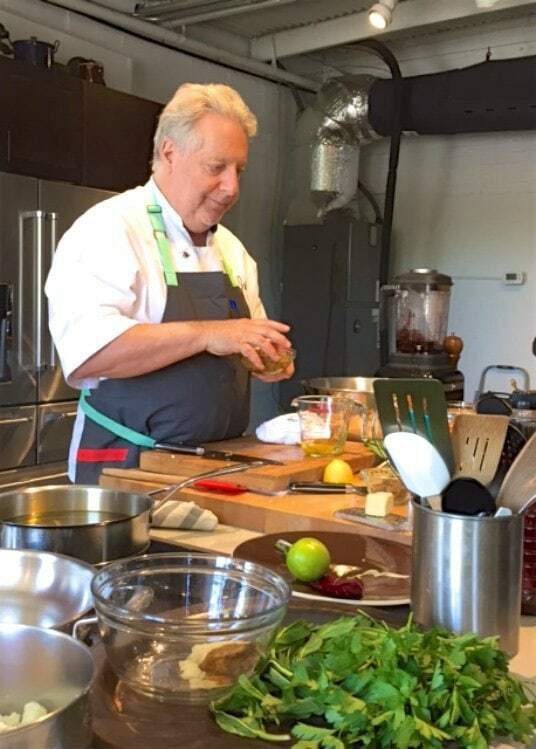 The morning was spent with Chef Jonathan Waxman, who has received the 2016 James Beard award; Best Chef: New York City for his restaurant, Barbuto. He gave us a wonderful cooking class and prepared an amazing meal for everyone to enjoy. We also had the pleasure of visiting Adele’s, Jonathan’s Nashville restaurant one evening. 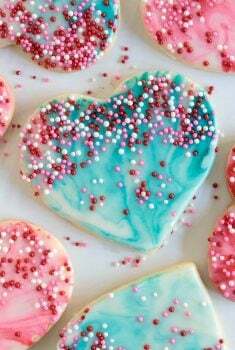 I’ll be sharing my favorite recipe from Adele’s in a future post. And the afternoon? It was almost too good to be true. 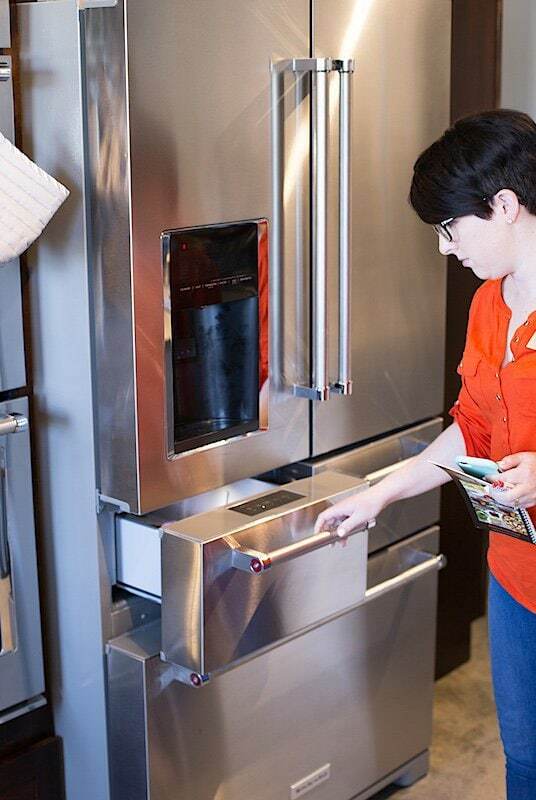 Try to envision the fun that would result from twelve foodies loose in a kitchen with every dream machine imaginable! That’s how we spent the afternoon. 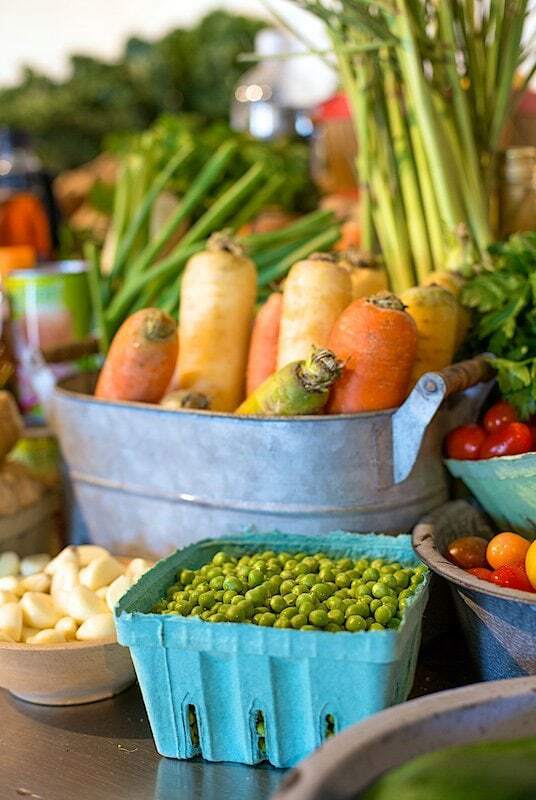 The wonderful folks from KitchenAid had arranged to have all kinds of fresh and staple ingredients available for us to work with. They gave us free reign in this incredibly equipped kitchen. We mixed, shredded, blended, pureed, simmered, sautéed, diced and baked our way through the afternoon. Had you been a little birdie in the room, you might have laughed at the excitement as we tried each new piece of equipment. You also might have gone crazy over the delicious aromas wafting from The Food Sheriff that day. My friend Julie, from Lovely Little Kitchen (check out her blog, it’s “lovely”!) 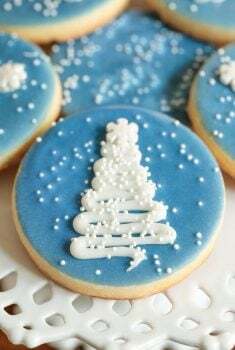 worked together in creating some Blueberry White Chocolate Cookies as one of our projects that afternoon. Everyone thought they were quite tasty! 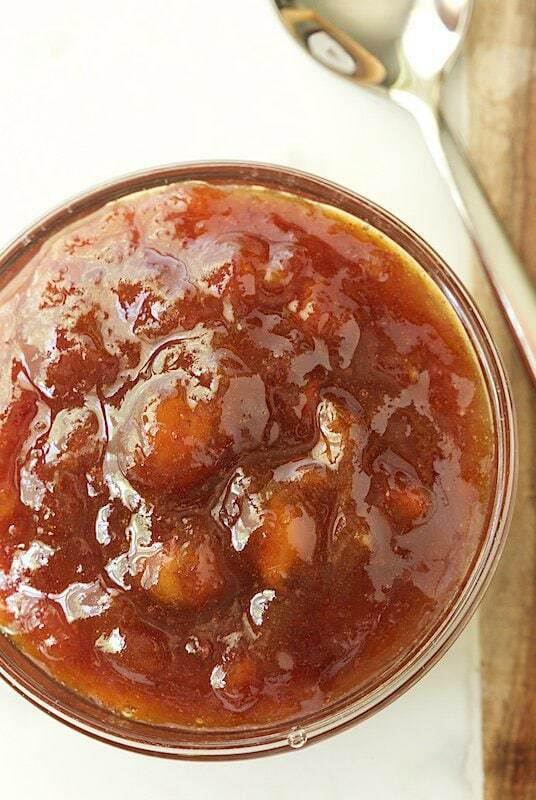 What about the Caramelized Banana Jam? Oh yes, you definitely don’t want me to forget that! The morning we arrived at The Food Sheriff, there was a fabulous breakfast awaiting us, catered by a delightful Nashville restaurant called Biscuit Love. The spread was amazing; fresh fruit, yogurt, granola, eggs, candied bacon and tall, tender, flaky, melt-in-your-mouth biscuits. There was butter and several kinds of jam to go along with the biscuits. One of them was an intriguing caramel color and was labeled “Caramelized Banana Jam”. Hmmm… I took a little scoop. 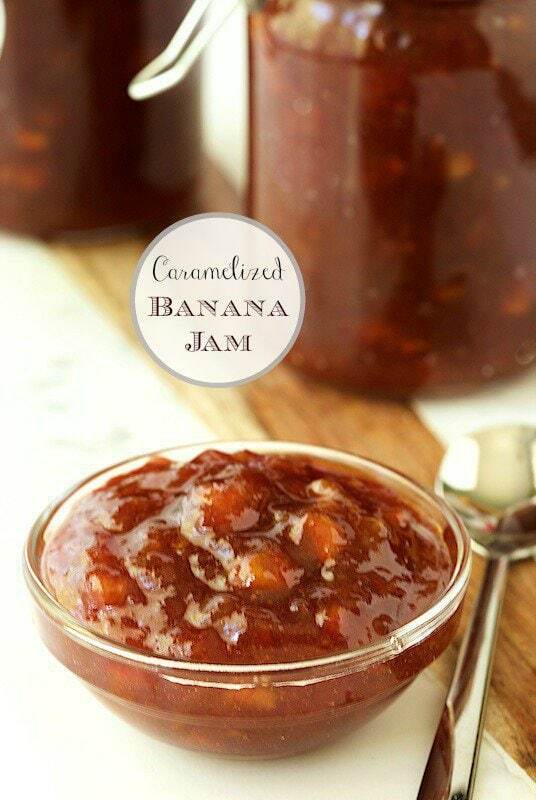 I make lots of jams and jellies, but I’d never heard of banana jam. Oh my! – no one at our table could believe how delicious it was! We remarked that it tasted like Bananas Foster, but in jam form! I made a mental note to try to figure out this amazing condiment once I returned home. I didn’t get to it right away, but several weeks ago, I remembered the wonderful jam. I figured there would be lots of experimenting to do in order to get it right, but guess what? 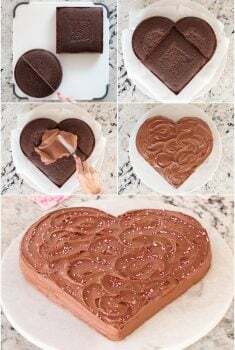 I discovered that Biscuit Love had actually shared the recipe with The Cooking Channel and it was available online. Woohoo! I didn’t waste much time before I was whipping up a batch.. The jam was as delicious as I remembered and we’ve enjoyed it with our morning yogurt, on Ridiculously Easy Buttermilk Biscuits, scones and spooned (warm) over ice cream and sliced, fresh bananas (amazing!). I’ve also given it as gifts and everyone seems to love it. The recipe calls for about 3 cups of ripe bananas, water and sugar. The water and sugar are combined and cooked till caramelized, then the bananas are added and the mixture is simmered till thick and beautiful. After cooking, a splash of vanilla and fresh lime juice is added. It’s a seemingly simple procedure but the caramelizing can be a bit tricky. The water/sugar mixture can easily crystalize and, if you aren’t keeping a super close eye on it, can turn from beautifully caramelized to badly burned, in the blink of an eye (I know both of these from experience!). I played with the recipe a bit and came up with an easier way to caramelize the sugar. I used my microwave, and found it’s much less likely to crystalize and/or burn. Banana bread, move over! You’ve got a rival – now there’s another delicious way to use up ripe bananas! P.S. I’ve been using and loving KitchenAid equipment since the mid 1980’s when Scott got me my first stand mixer. I was thrilled and stayed up all night, playing with it. I’ve had lots of other KitchenAid equipment since, and have loved them all. 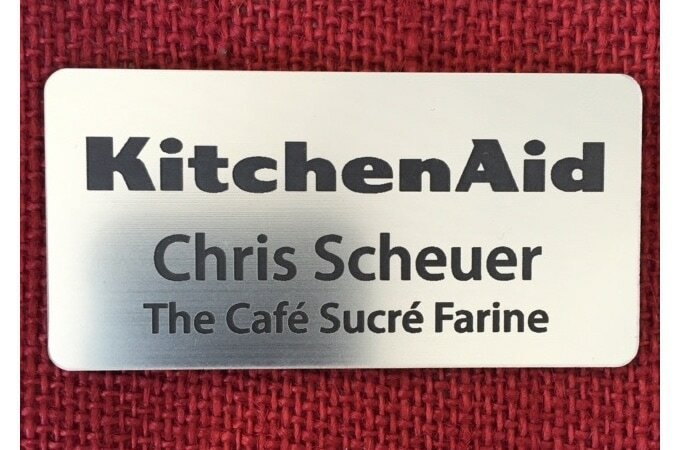 Over the years, I’ve called myself, “A KitchenAid girl” – now it’s official, I got this fun little badge in Nashville! 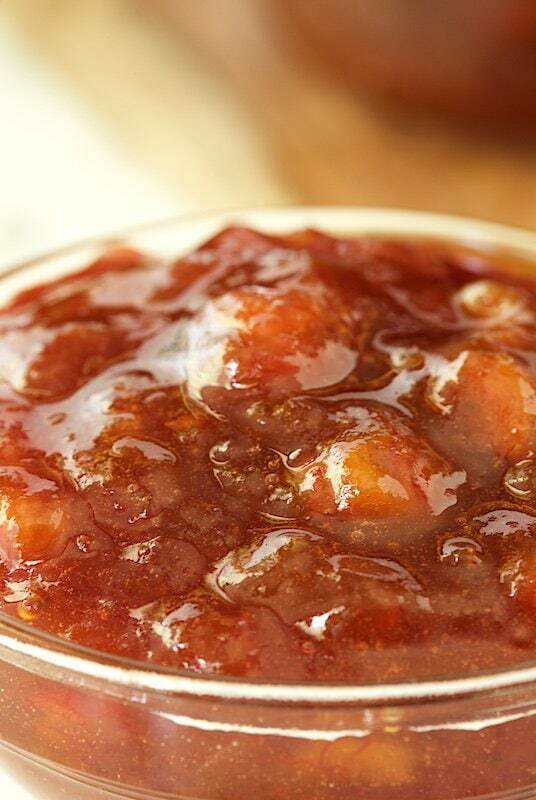 With the flavor of Bananas Foster, this jam is amazingly delicious on yogurt, toast, biscuits, pancakes, ice cream... And t's another way to use ripe bananas! Combine sugar and water in a large (2 quart) microwave safe (pyrex)** bowl. Stir gently to combine. Cover bowl tightly with plastic wrap***, then poke 6-8 holes in plastic wrap to creating venting. Place bowl in microwave and cook on high power for 10 minutes. After 10 minutes, mixture in microwave will be just barely turning color. Continue cooking for 2 minutes at a time until mixture is golden brown. Watch carefully during these last 5 minutes. Amount of time will depend on your microwave. Mine takes around 14-15 minutes to cook to a beautiful golden brown color. * You want the bananas to be ripe but not soft and mushy. They can have lots of brown sugar spots but shouldn't be black. Don't try to use bananas that are still green in spots. They don't make a good banana jam. ** After one reader tried the recipe and her bowl broke, I'm amending the recipe to say microwave safe "pyrex" bowl. Pyrex is made for to be heat proof and safe in the microwave. The only thing you want to be careful of with Pyrex, is not submitting it big temperature changes, for example from the microwave to the freezer. *** I recommend using a high quality plastic wrap that is suitable for the microwave. Most of the name brand wraps you find in the market have been test and will be labeled microwave-safe. 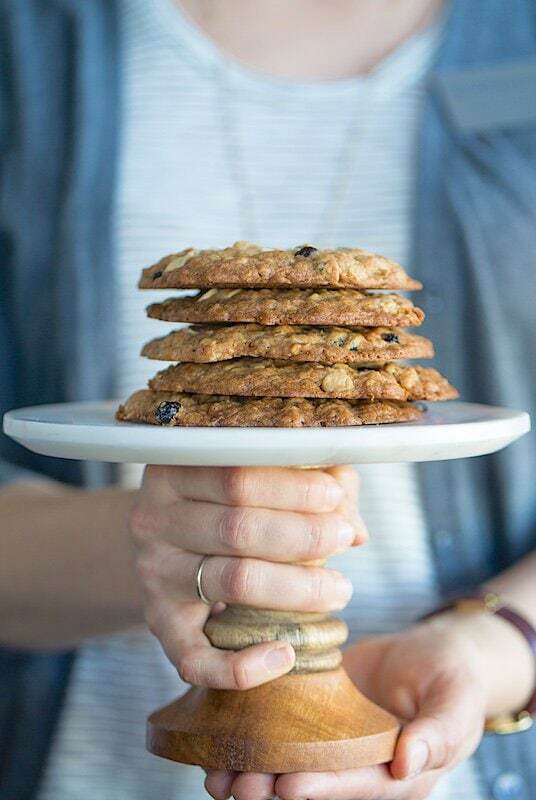 You could also lay a piece of parchment paper over the top of the bowl for a similar effect. I’m afraid I’m old-fashioned and don’t possess a microwave, so I did it in the traditional style and cooked the sugar on the stove top until I had a nice, dark golden syrup… I then added the bananas, and proceeded as instructed in the recipe. Phenomenally good. Thanks for sharing your results, Alexandra! So happy you enjoyed this jam too! Do you think squeezed fresh lime makes a difference rather than bottled lime juice? I think you could use the bottled juice in this recipe if you were in a pinch. 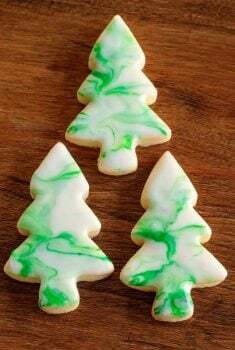 In the recipe, you call for granulated sugar, and then to microwave the sugar and water for 10 minutes until it starts to turn color. Do you mean brown sugar? No, it’s granulated sugar. It will caramelize and turn to an amber color. I microwaved the sugar and water for over 20 minutes. It barely turned cream color. Turned it over to empty pot to cook till golden and it immediately began to completely crystalize. Soo dissapointed. So strange… I’m wondering if your microwave is pretty low power.Yes, the sugar/water does tend to crystalize more easily on the stovetop. I have a crop of bananas we are waiting to ripen *yes a whole banana plant’s worth!) so I am thinking of making as Christmas gifts. How would I make this without using the microwave? How long do you think that this will last without freezing? Wow, a whole banana plant’s worth! You are rich, girl! 🙂 I haven’t made this without the microwave, but I would just caramelize the sugar and water till it’s a nice amber color, then add the bananas and cook for another 10-15 minutes till it’s a good consistency. This should keep for 3-4 weeks in the refrigerator. I recommend just using a sauce pot and cook it on the stove instead of the microwave , just keep it medium temp and don’t stir . Take it off the heat when it’s caramel coloured. Can you pasteurise it for longer shelf life? Hi Marina, you probably could. I haven’t though as I just freeze mine till I’m ready to use it. Hi Anne, I haven’t tried canning it so I’m not sure about that. I always keep my jam in the freezer for longer shelf life. Let us know if you try canning it. Lovely, I hate throwing food away. I just put those overripe bananas in the freezer, and make a batch of jam now and then. I do it the old way, with hysterical cleanliness just like my granny did, so the best before date should be a few years from now. Today I let it simmer on the stovetop for some hours, and I even used a genuine vanilla pod. How long does this jam keep for? Hi Deborah, it will keep for several weeks in the fridge and a few months in the freezer. I made the jam this morning and it is delicious! I confess I’m not the biggest fan of bananas, I’ve probably eaten one banana in the last 5 years outside of banana pudding. I guess you’d say why make it if you don’t like bananas all that much but it just sounded so different I had to try it. I sliced some french bread, buttered the bottom, put peanut butter and this jam on top and baked in the oven until it was all warm and melty and served it to my daughter and fiance. It was beautiful and they loved it. Would be good just on biscuits too. Thank you! So glad you enjoyed the recipe Zeo! It definitely turns heads when you get people to try it! 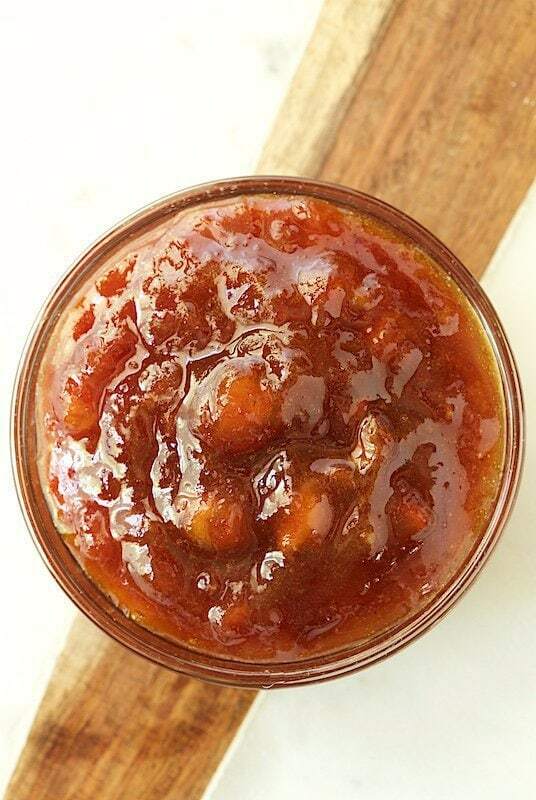 I made the caramels end banana jam today & it is WONDERFUL. Your instructions were very easy to follow. My cooking times for the microwave and the stove top ended up less than the recipe but it was relatively easy to determine when it was ready. Thanks so much. This will be a favorite for special occasions. I’m afraid the word caramelized was changed on spell check !!! 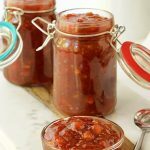 Thanks Becky, it’s a very special, unique jam, for sure!